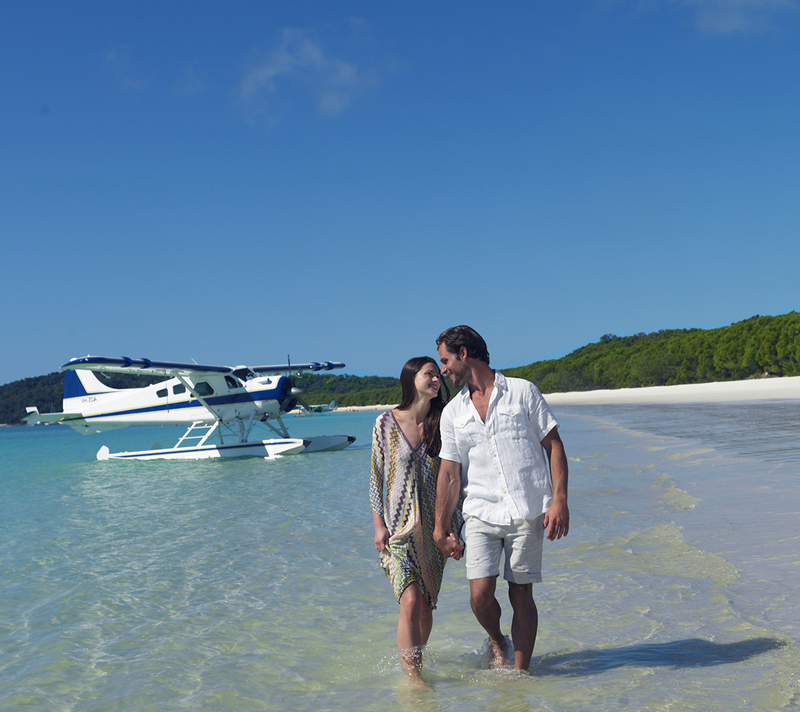 Valentine’s Day can be a hard holiday to shop for but don't fear Hamilton Island is here to help. We’ve complied our best gift ideas to help you celebrate the love in your life... After all escaping to a tropical island with your special someone is synonymous with romance! Romance means different things to different people and on Hamilton Island we can help create a special experience that is unique to your relationship. From luxury seekers to thrill seekers and everything in between, we have the perfect suggestions for you. Part of the Whitsundays, and in the heart of the Great Barrier Reef, Hamilton Island is one of Australia’s most romantic and sought-after holiday destinations. Treat them to a truly memorable four-night getaway with Hamilton Island's blissful Romantic Escape Package. You'll sweep them off their feet with sparkling wine on arrival, sunset sailing, romantic dining and much more! Or take advantage of our Stay 5 Pay 4 holiday package for an extended getaway! Imagine flying to stunning Whitehaven Beach in a seaplane, taking in the sights from the air and then touching down to enjoy a champagne picnic on the pristine white sands. Treat your beloved to the ultimate in relaxation and renewal with a spa treatment. You could book the person you're looking to indulge in for a bespoke treatment or why not join them and make it a couples spa day. A world of choice awaits with popular options including the degustation at Bommie, beachside dining at Beach Club or a sunset cruise around the Whitsundays aboard Hamilton Star. Not sure what to choose? Why not give them a Hamilton Island gift voucher for an amazing stay in one of our properties! We can’t wait for you to join us and celebrate the love in your life on Hamilton Island!